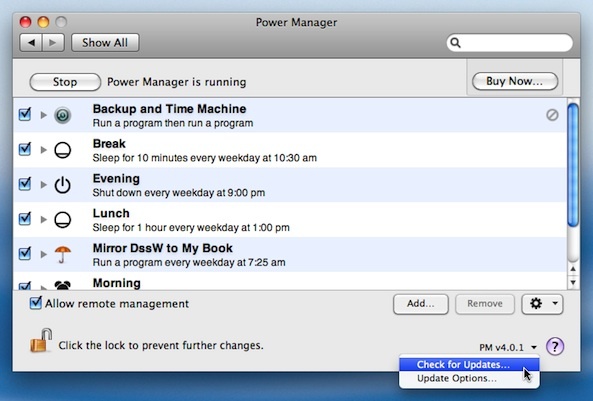 Power Manager 4.0.4 and Power Manager Professional 4.0.4 are now available. These updates include a critical bug fix and minor localisation improvements. As always, we recommend all users to upgrade. Refined: Improved localisation of recent triggers and conditions (Pro). If you encounter problems updating, please download and manually install this update. This article was posted in PM4, PMPRO4, and Power Manager and tagged dssw, Power Manager, and Power Manager Professional.